A couple years back I was plagued with highly acne prone skin. It seemed like commercial skin care products were doing nothing to help the situation. So I did some digging and learned of a celebrity esthetician who had the power to create clear, glowing skin. Her clients included Halle Berry, Gabrielle Union, Toni Braxton, Meagan Good and on and on. The moment I heard of Lady Dee, I knew I had to experience her blessed hands, no matter how much the cost. I enjoyed several sessions at her salon and benefited greatly. But, she's a 5 hour plane ride away, which makes it a bit difficult to become a regular client. Today, I come with good news. There's an East Coast celebrity esthetician to the stars. And this woman's client list rivals that of Lady Dee. Her loyal clients include Nia Long, Beyonce/Jay Z, Kerry Washington, Angela Basset, Iman, Yaya Dacosta, Tasha Smith, Adrienne Bailon, Diddy, countless models (and pretty much anyone else you can think of). Every loves visiting Mamie McDonald to experience her signature "skin ready" facial. Her impressive list of clients really peaked my interest. I needed to know what she was doing that attracted the elite to her office. One even referred to her as "the Oracle of Skin." Like many others who deal with celebrity clientele, Mamie keeps everything on the hush, hush. There's no sharing of skin care tips on her insta and she rarely answers questions left on her feed about how to address troubled skin. So I had to take a different approach. First I poked around her website. But at first glance, her website doesn't stand out as a celebrity haven for flawless skin. In fact, her services mirror that of any typical esthetician. So I decided to look for clues in the multitude of pics she shares on social media. Here's what I got so far. A mask-like glycolic peel is brilliant! What better way to kick of a facial than with a deep exfoliation treatment. I need a glycolic peel facial mask in my life this very moment! I did a quick search online and found this one which was well within my budget. 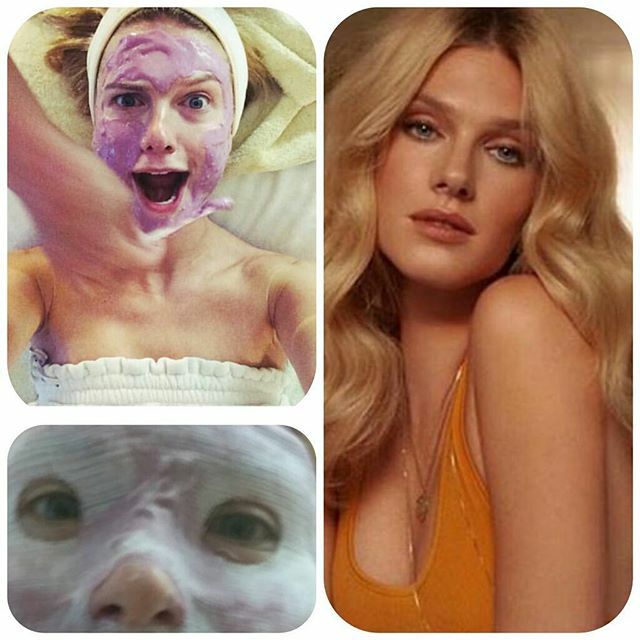 Besides the glycolic peel mask, Mamie as also a fan of hydrating sheet masks. In fact, she recommends her 007 gold mask for those who travel for a living and have to constantly battle the dry cabin air. 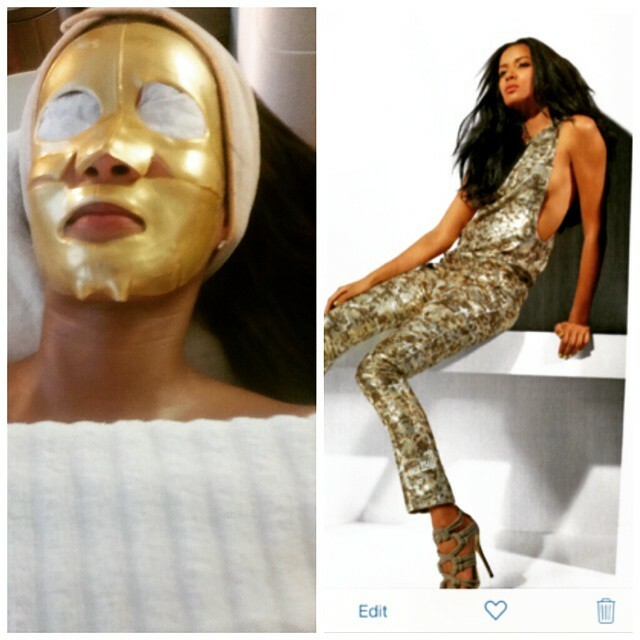 Model Machico Harris getting "skin ready"
For deeper, more intense hydration, Mamie also performs the beloved HydraFacial. This facial does so many things for the skin. It deep cleans, it exfoliates, it hydrates, all in one shot. The Hydra Facial is known as the go-to treatment before red carpet events. Note to self, schedule another Hydra Facial treatment. I also saw on someone's feed that Mamie introduced her to Luzerm beauty products and she seemed extremely happy with the brand. From what I can tell, Mamie's clients go to her, not only for her ability to transform skin, but her amazing personality and warm hearted nature. Everyone seems to love this woman. It kinda reminded me of how nurturing Lady Dee was. She would pray over me and speak abundance into my life every time I visited her. Whenever I accomplished something great at my job, she'd congratulate with such sincerity (I miss her so much). I had this perception that people who are in demand by celebrities wouldn't have time for regular people like us. But, that doesn't seem to be the case. Maybe someone reading this has already experienced her services and can leave their feedback in the comments. If you're interested, in booking an appointment, Mamie is based out of New York and has a waiting list so be sure to check availability. Fingers crossed that I'll actually get to visit Mamie and will do an update post on my experience in the future.